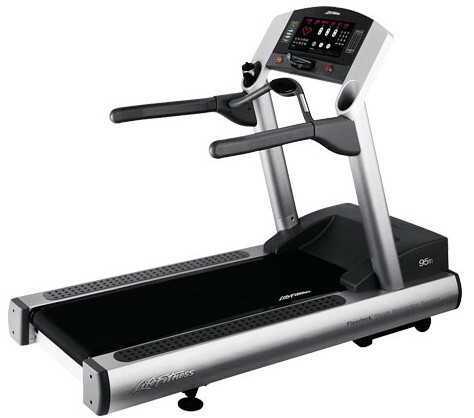 Nicknamed the “Silver Bullet” for its shiny, alluring appearance, the 95Ti is Life Fitness’s best-selling treadmill. 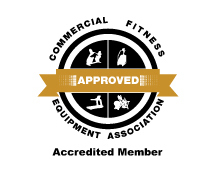 It is a step up in quality from the older Life Fitness machines in the stable, and also comes with a variety of unique features not found elsewhere. Nicknamed the “Silver Bullet” for its shiny, alluring appearance, the 95Ti is Life Fitness’s best-selling treadmill. 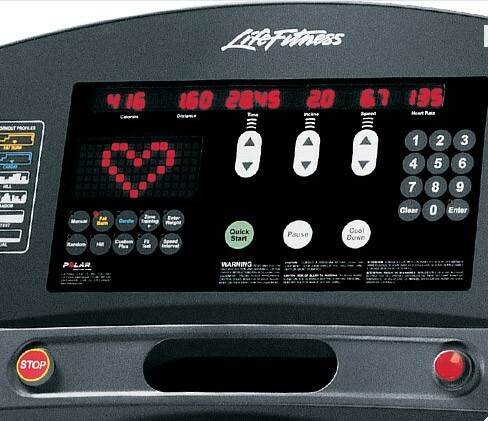 It is a step up in quality from the older Life Fitness machines in the stable, and also comes with a variety of unique features not found elsewhere. 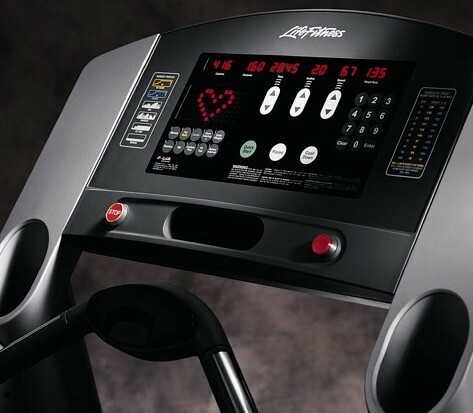 The 95Ti still provides the patented FlexDeck® suspension system and self-lubricating belt that give other Life-Fitness machines their great ride, but it also comes with such extra items as a 26-character alphanumeric message control center with workout profile window. The 95Ti has a maximally-conveniently placed Ergo-bar, known as the activity zone, which puts all your essential workout data in front of you on over-molded tubular steel. 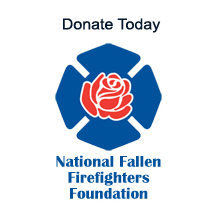 Programs include 28 different choices, such as the military PRT/PRF fitness tests and the Gerkin protocol. 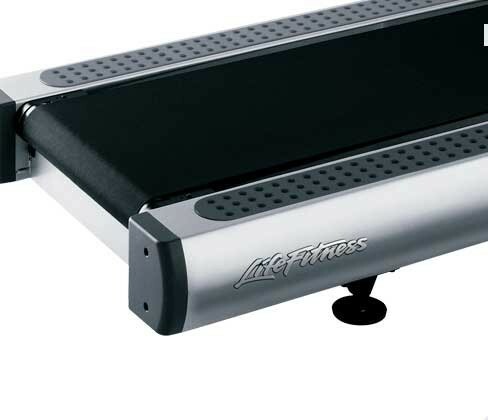 The running surface is Life Fitness’s standard 20”x 60” belt, with 8 large shock absorbers underneath and non-slip siderails on both sides of the runner. 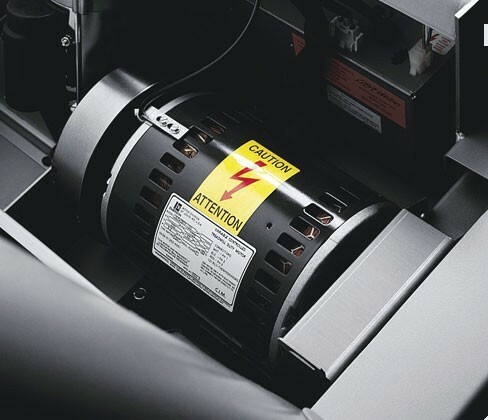 A pro-active belt-wear and stride sensor will notify you if anything needs tuning. And, of course, the 95 Ti is fully-entertainment-system compatible, with an optional attachable LCD TV console (95 TEZ) or LCD entertainment system. Dimensions: 83" x 37" x 63.5"
We have been extremely pleased with Total Body Experts. The equipment was delivered in a very timely fashion with no problems at all. 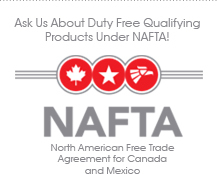 Additionally, we have been very pleased with the quality of the equipment. 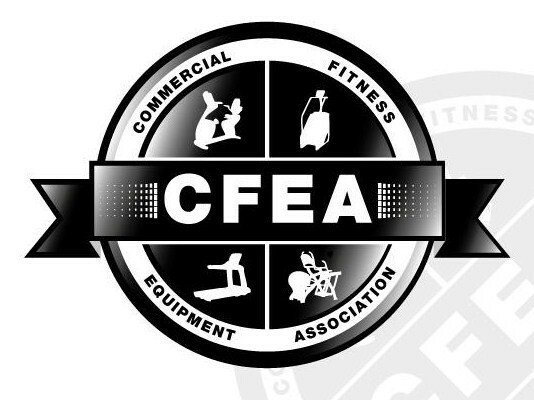 We plan to continue to work with Total Body Experts when we need additional equipment.